A glass splashback is a stylish and practical way to protect your kitchen walls from splashes and spills. This black glass splashback is 750mm x 1200mm x 6mm and has been constructed from Optiwhite™ glass to ensure a true colour and prevent the appearance of a green sheen. A low maintenance option, this black gloss splashback can be cleaned with a soft cloth and some warm soapy water, making it a hygienic and practical alternative to tiles. Our splashbacks are manufactured from toughened glass which is scratch resistant and capable of withstanding temperatures of up to 700°C, offering a durable selection for any kitchen. This product is kept in stock so that we can ensure it is delivered to you as quickly as possible. 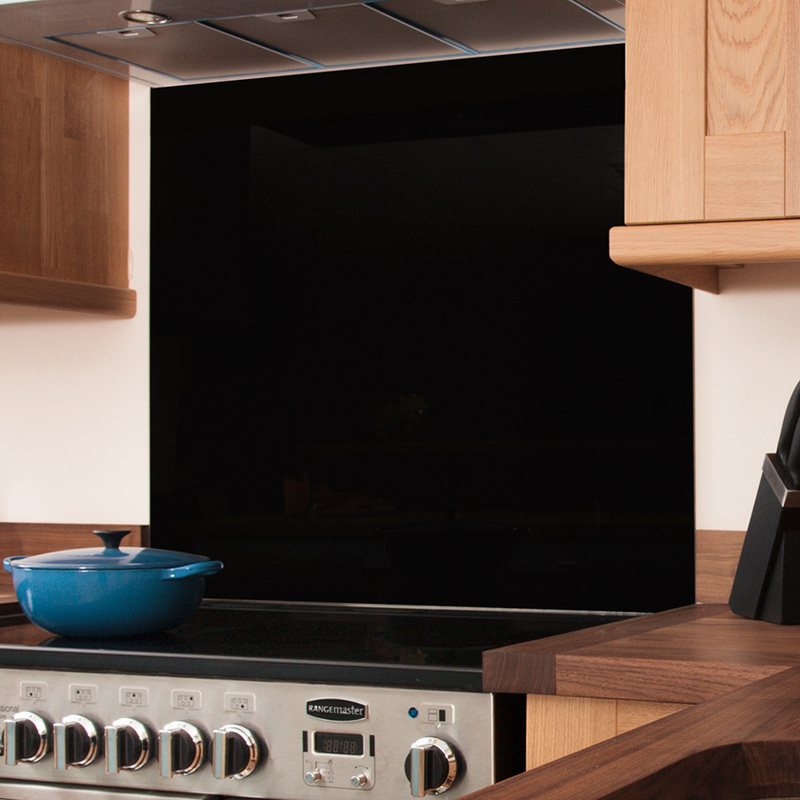 When you are ready to order, simply select your black glass splashback below to add it to your shopping cart.